Lapis-lazuli; oval-based truncated faceted cone; small ring on the summit being a part of the body of the cone. One line of kufic script. 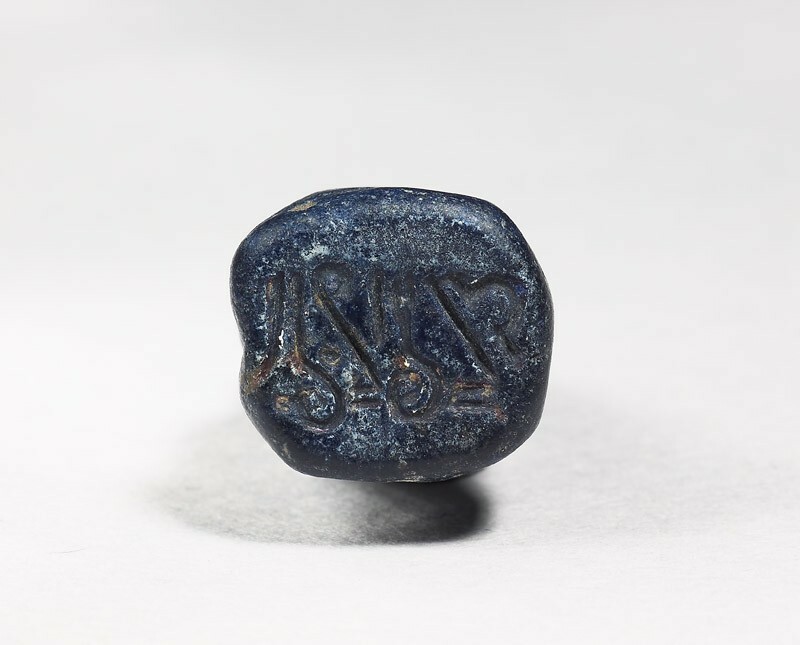 The shape of this seal is rare and there is some doubt whether it should be classified here or with the seals from the classical period (I.1).